We proudly create pastry chef quality desserts and cakes for all your needs, on-line gifts, and for the wholesale trade. Whether you are having a special gathering or just looking for tonight’s dessert, M&M Patisserie has a mouthwatering treat for you. Our ability to provide custom made cakes, desserts and pastries is limited only by our customer’s imagination. 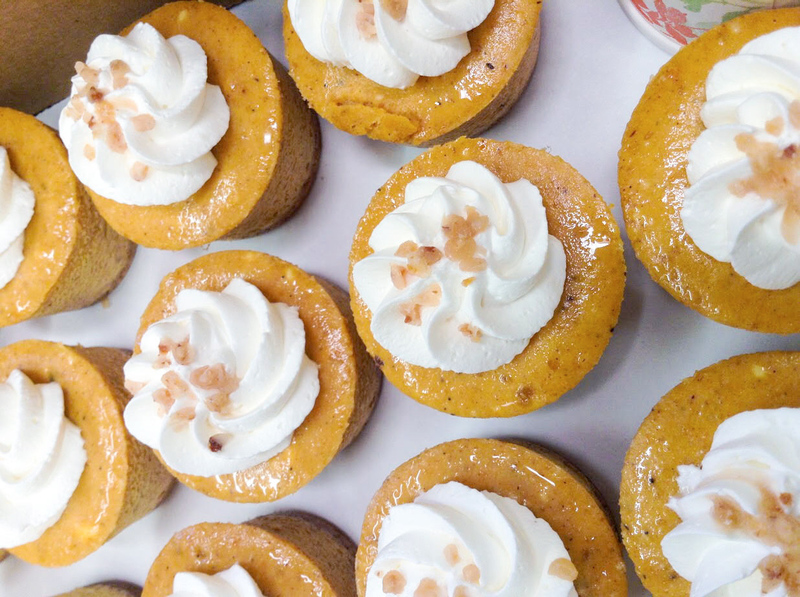 Our growing selection of gourmet cakes, cookies, petit fours, truffles, and other fine bakery products, are all made to order by our skilled pastry chefs. We are not your typical bakery; only the finest quality ingredients are used. Please feel free to explore our website and enjoy every page as they are designed with our most valuable sweet in mind, our customer. 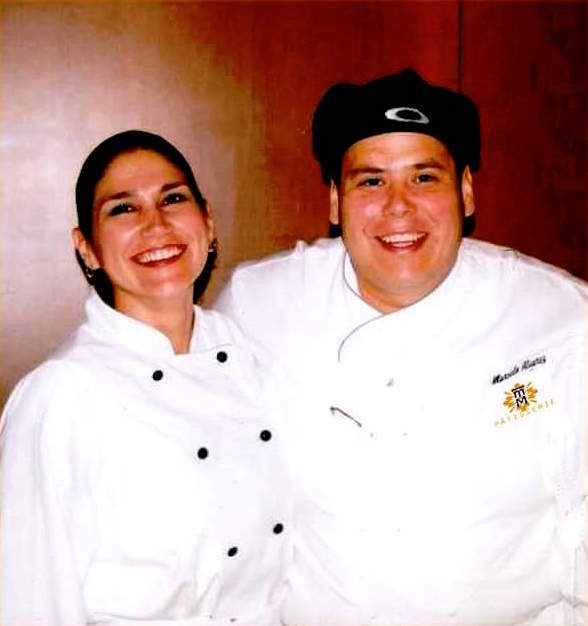 Founded by Marcelo and Maria Alvarez, M&M Patisserie is a family owned business with over 12 years of experience providing wholesale, high-end, fresh desserts to restaurants, country clubs, hotels and caterers within the San Diego area. Your dessert should be truly memorable because it creates the last impression you have of a fine meal. That’s why M&M Patisserie offers specialty cakes, luscious cheesecake, individual desserts, tasty pies and tarts and french mini pastries all made by hand with the highest quality ingredients. 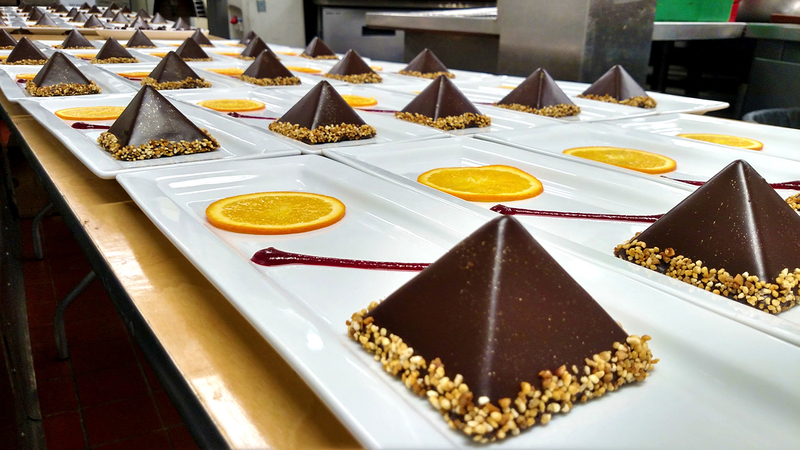 You will find that our desserts offer a beautiful presentation and great taste at an affordable price. Excellence in service is one of our mission statements, because here at M&M, we believe that our customer is the most important ingredient in our recipe to success. M&M Patisserie desserts and pastries are made with only the very finest ingredients. We take great pride in our products and each item on our menu has been carefully crafted and taste tested. We add no preservatives and our products are freshly made to order. That’s why chefs around San Diego prefer to order from us. 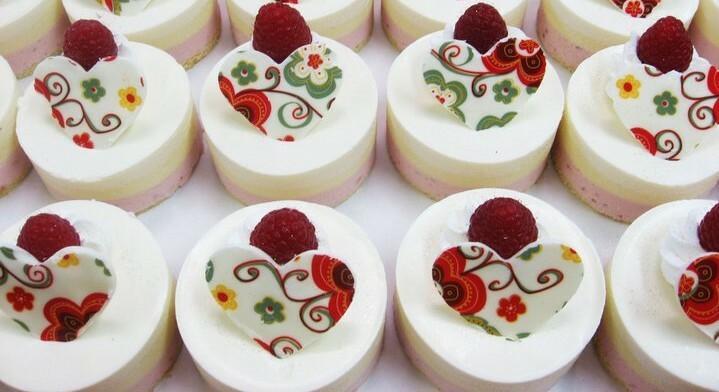 We offer banquet items and miniature sweets for your special events. Birthday and wedding cakes are also available!